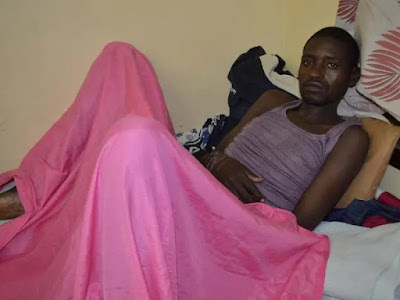 A man is currently recuperating at Kapsabet Referral Hospital in Nandi County after his private parts were stitched back following an alleged attack by his wife. The 36 year old Solomon Kiprotich arrived home in the evening and everything seemed to be in order but hell broke loose at around 10pm when the Solomon retired to bed when his wife followed him and sat on his chest and started chopping of his manhood. The man scream t in pain and was lucky since the neighbours together with the assistant chief responded to the distress call and rushed him to the hospital before arresting his wife. According to Kapsabet Hospital Medical Superintendent Dr Ismael Aiyabei,the man required an operation for the injury and has confirmed that it was successful since they managed to return the organs to their right position because they were still fresh. The doctor also revealed that the urinary tract is now functioning and the patient's wound is healing.